My house is a mess. There is laundry to tend to. There are things in my home space that need some organizing and physical attention. Simultaneously, there are three children to engage, feed, listen to and play with. And on a hot summer Saturday in July, I realize I wouldn’t have it any other way. I know I could take full advantage of having an understanding and supportive partner to “escape” the rigors of this summer weekend and find that space of solitude to “get my work done.” But, lately, I have come to value aspects of my research life that I once complained about. My attitude toward the reality of my working while at home have changed forever. It’s more than just experiencing another summer of unnecessary death, the continual devaluing of Black Lives, or trying to make sense of the current political climate, instead, for the first time, I feel all of my identities (wife, mother, scholar, daughter, sister, mentor, and friend) merging together. And it looks and feels different. Despite the need to complete tasks and move my writing forward, I feel like this is the time for me to be present, to experience all of the mess that is my home. I need to be right here. I recognize there are plenty of ways I “escape” to get work done. 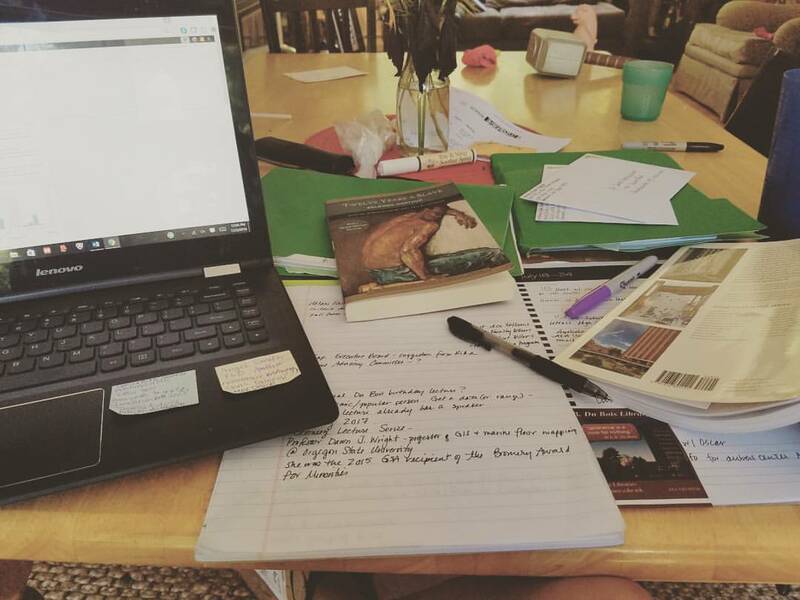 My summer is filled with planning, meetings, emails, prepping for my course in the Fall, or finishing up edits for that latest article – no shortage of work. The imbalance that I used to feel about my life & work is what feels a bit different. For the past few weeks I have felt like I was hitting a brick wall when I sat down to write. A hopelessness that made motivation seem like a distant relative. I did not have the energy to writing or editing or find that perfect citation. I think I desperately needed some home time, some real home time with mess and clutter and frustration and all. The moments I feel my blood boil because the people I live with never use the same cup twice; or leave their random sandals, shoes, or Lego pieces in the middle of the kitchen floor for me to trip over; or my favorite, the waking up with a sore neck because my sleeping position has been compromised by that child that slithered into my bed in the wee hours of the morning. Those moments help me to remember I am alive, that I am human, that I am real. My work life is also feeling different. I have made some decisions as of late that make sense for my immediate future. There is a lot on my plate, but I feel like it is finally coming together (at least for now), and it seems to make sense for the preservation of my Black Academic soul. I have Dr. Du Bois to thank for some of this revelation. My work as the Director of the the W. E. B. Du Bois Center has shifted my research life. And I use that term to mean just what it sounds like – my research life – does not have to be separate, its not the same, but it is related in that fictive kin sort of way. This summer has helped to put that imbalance and that domestic mess I speak of into proper perspective. The constant struggle to feel human and the confusion about why folks have to explain why #BlackLivesMatter (to anyone) has reminded me of the words of Dr. Du Bois some 103 years ago. His words are as relevant today as they were then and damn, that is a shame. I feel that the work I do is not just within the bounds of the classroom anymore. I no longer feel that the work I publish is enough to change the world. I now understand that some of the work I do, begins at home, begins when my husband and I are there to explain and speak to our children about an uncertain world. 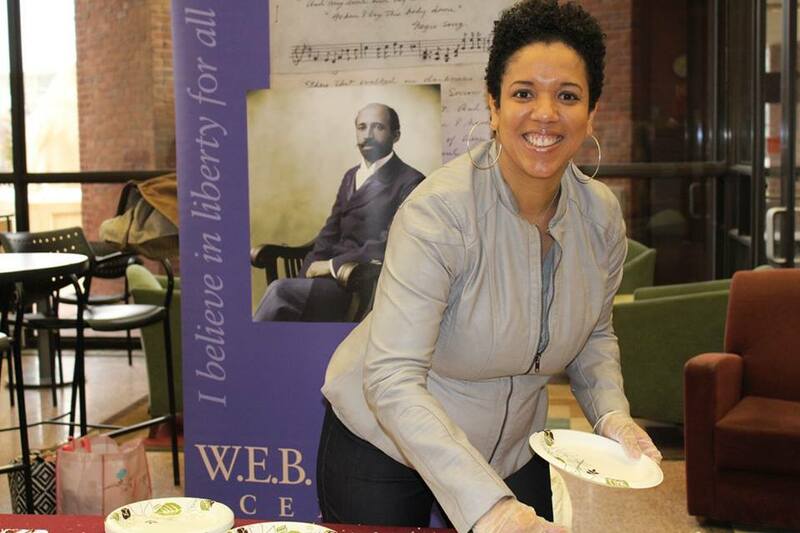 The work I do at the Du Bois Center is directly linked to my life’s work. This synergy is not by accident. When I see the way the lessons are translated by young people in my life, by young folks I engage and mentor, I can remember how that was done for me when I was young and searching. I never immediately conveyed to my mother or my elders that I heard their lessons, but I used them on a daily basis when I was out in the world – even when I could not admit I was following their advice because I was stubborn, to put in mildly. That internal struggle that helped me (or fooled me) into pursuing a career in the academy, is the same struggle that I could not understand when I first entered the quest for the “tenure fleece.” I don’t have all of the answers, I feel like I am just at the crossroads, starting to see an alternative path, one that will not chew me up and spit me out, but listen to my own terms – now imagine that? My house is a mess. It is a mess because people that matter live here. That disorder is a direct reflection of the internal struggles of our current moment. And that mess is okay, it is okay because it is proof that there is beautiful struggle forming in the next generation attached to Trevor and I. We are preparing them with these same life lessons that were offered to us, because through the physical, spiritual, and mental interactions we can be content (somewhat) in the belief that our children, and the young folks we kick it with on a regular basis, are going to be as prepared as we can get them to enter a world that we may never understand. Your house may be a mess, but your life certainly is NOT! You are doing great things, and yes, on your own terms. Your kids are fortunate to have you as role models. I don’t have children, but your words do give me — not hope yet, not after this summer, but maybe a sense that hope might be possible. I read the Du Bois quotation to my husband in the car…he guessed who wrote it (yay!) and we both had reactions similar to the one you expressed. I do so enjoy this blog! Thank you.